In 1895, a 60-year-old but still-on-his-feet Mark Twain visited Dunedin. He gave lectures and said suspiciously formulaic nice things. ("The people are Scotch. They stopped here on their way from Home to heaven, thinking that they had arrived.") The town had come a long way from its mid-century founding, when a visitor called it "a wretched hole." It's amazing the difference a gold rush can make. 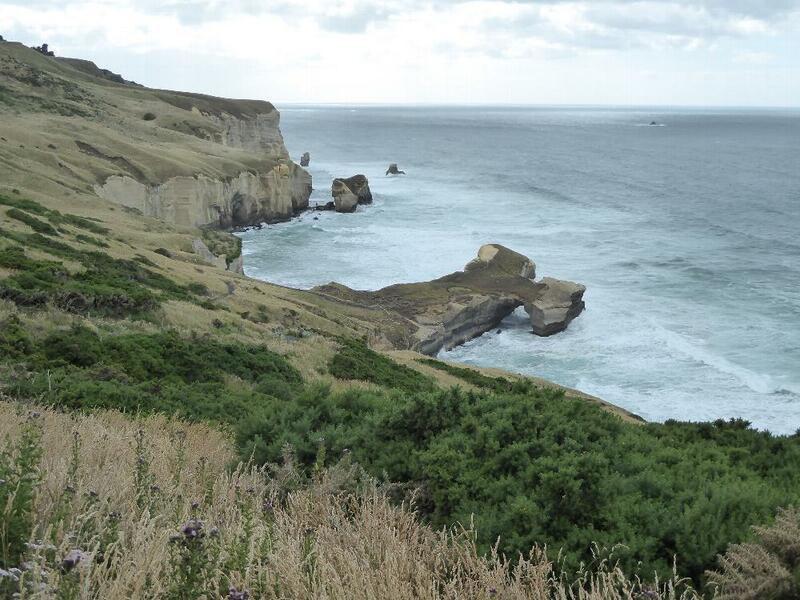 Besides, Dunedin flourished as a stop on the main shipping route between Europe, New Zealand, and the Pacific. There was one snag that nobody anticipated: it was called the Panama Canal, which provided a shorter route from the UK to the Pacific. 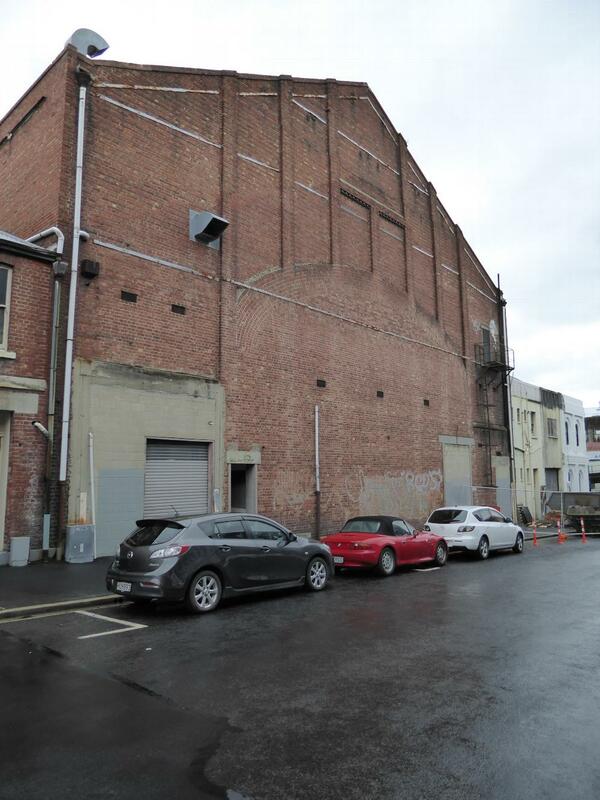 In 1911, Dunedin with 40,000 people had been as big as Auckland. 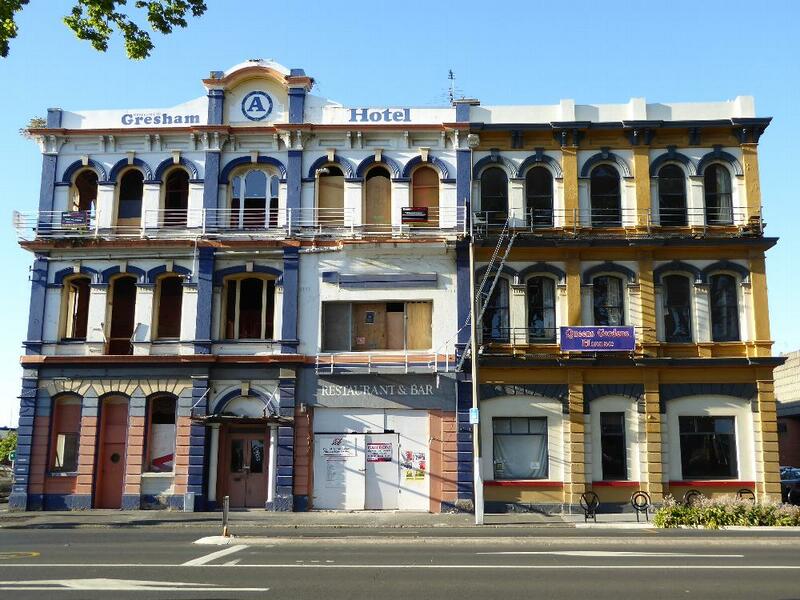 By century's end Auckland would have almost 10 times as many people as Dunedin. Paul Theroux came by about 1990 and called the place "cold and frugal, with shabby streets." But look on the bright side: towns that die can become museums before anybody notices. For the quotes, see George Griffths' essay in The Cyclopedia of Otago and Southland (1999), a prodigious mugbook. 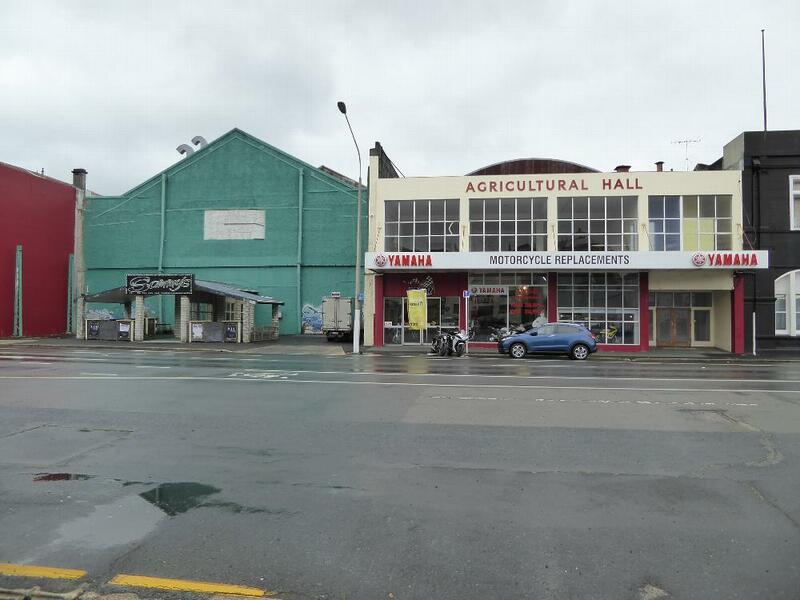 And you can see what Twain meant: here we're just a few miles from town, in fact within what is now suburban Dunedin. Go around the point, and you'll see a town and a beach. Just don't get too involved in a ball game. The preceding photos were taken just about at the lower-left corner of this map. 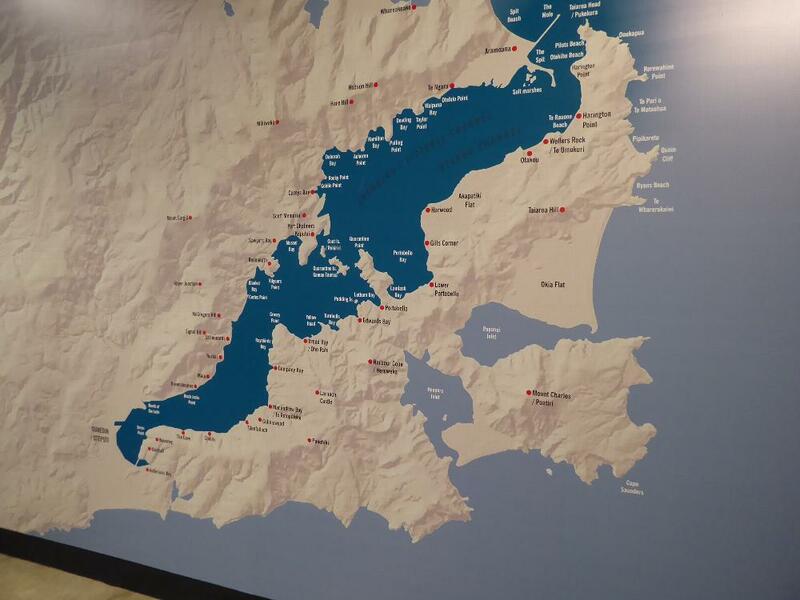 Dunedin is at the end of the long Otago Harbor. Harbour, if you prefer. 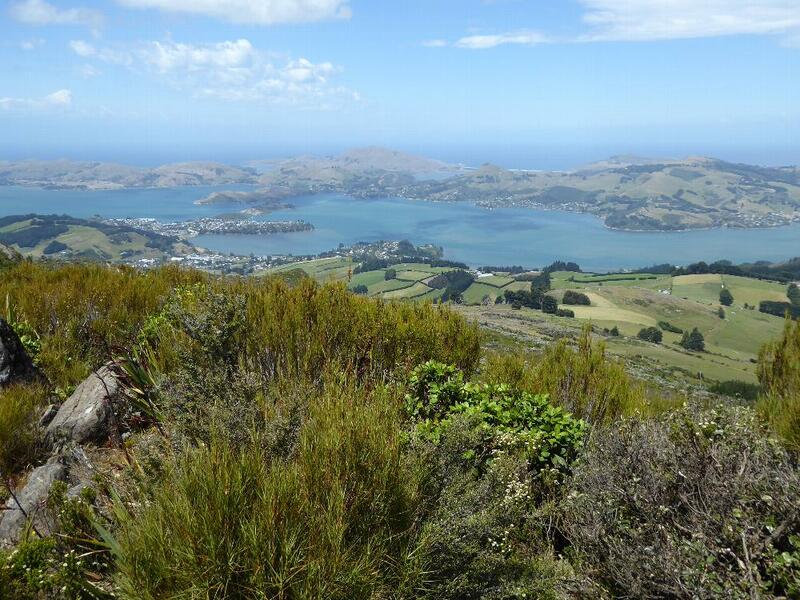 The peninsula is the Otago Peninsula, a name that's Maori but which still defeats etymologists questing after meaning. 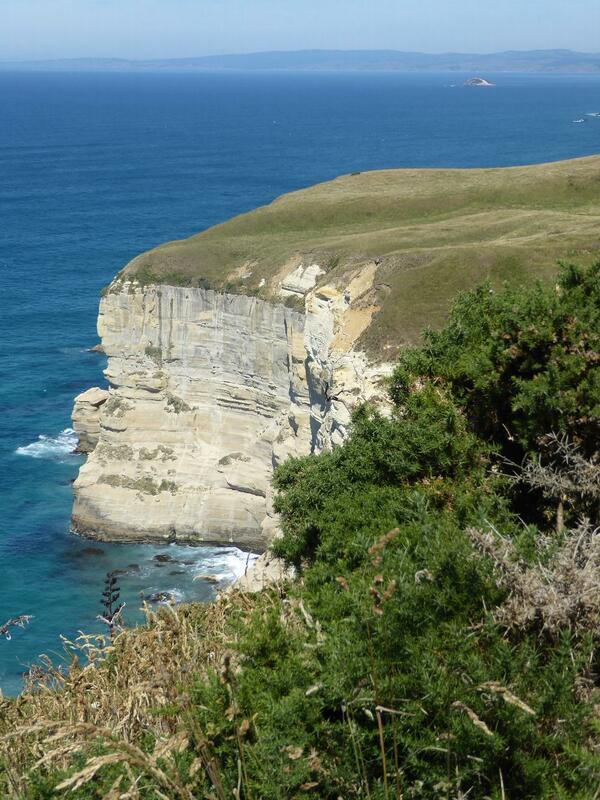 Captain Cook came by in 1770 and named Cape Saunders, at the lower right. He didn't enter the harbor, which was not surely visited by Europeans until 1810. 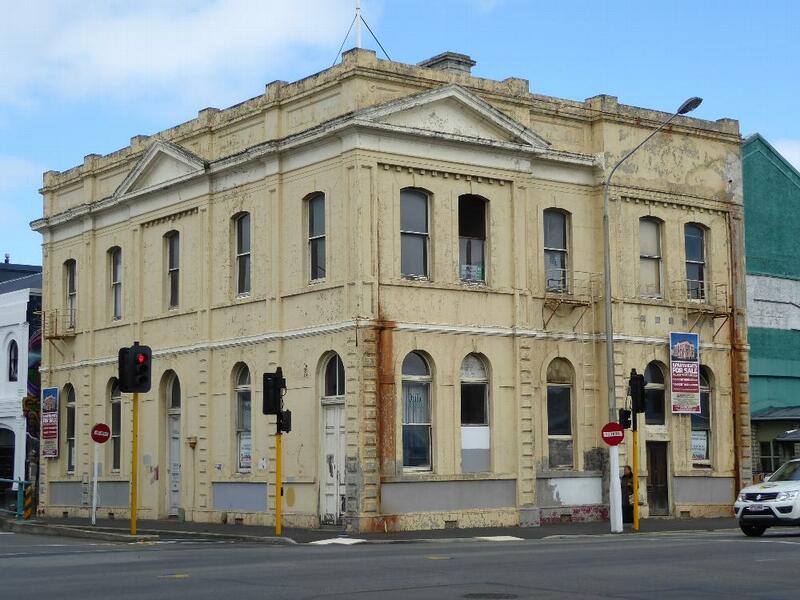 The settling of Dunedin was still another 40 years off. Here's the long harbor, opening to the left, and the peninsula. 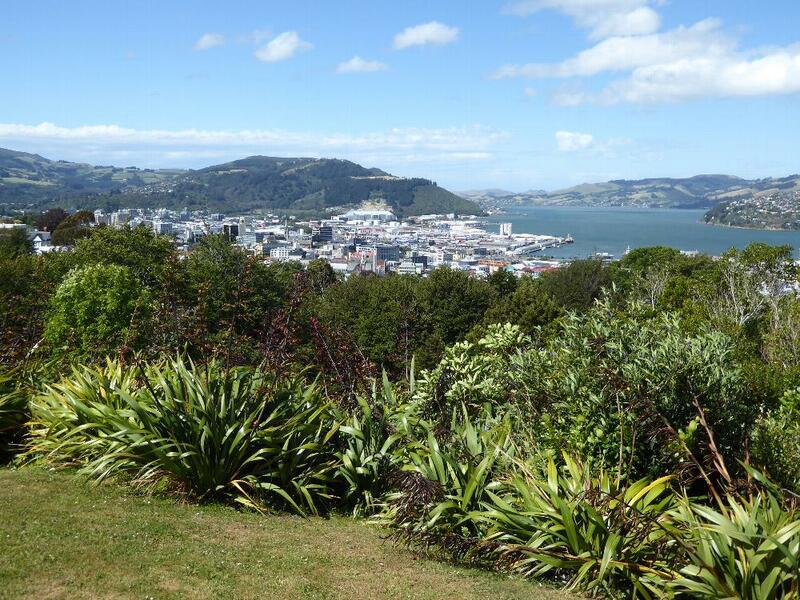 Dunedin is beyond the right edge of the image; the town below is Port Chalmers, population 3,000 and now mostly a bedroom community for Dunedin. 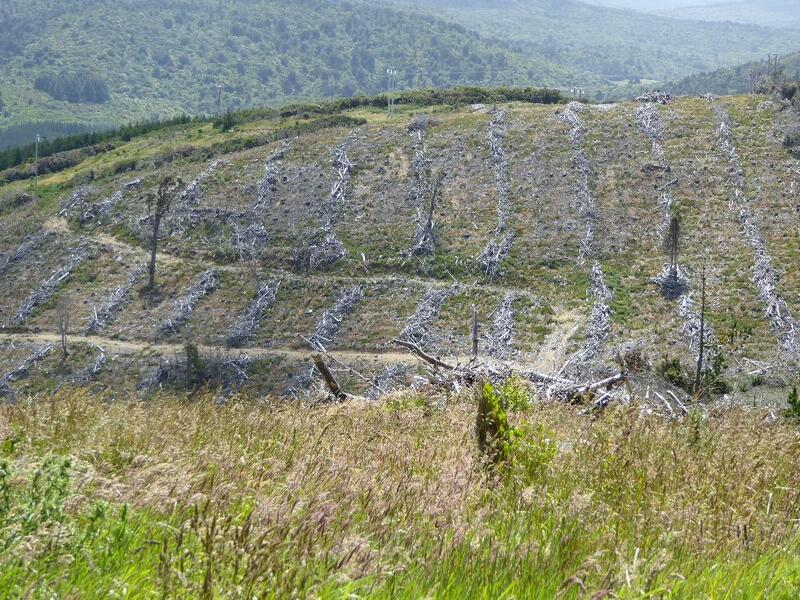 The hills we're on have been brutally logged. At least they tidy up the slash. Here we've circled around to the end of the harbor and found a hill (Unity Park) overlooking the city. The town--about time we settled this detail--was founded in 1848 by settlers from the Otago Association, created by the Free Church of Scotland. The name Dunedin is the Scots Gaelic name for Edinburgh. Who knew? The port is somnolent. OK, all right, you win: it's kaput. Streetside of the same warehouses. Imagine the grumbling if George Goethals had dropped by in the 1920s. "That's the guy. Curse his eyes." 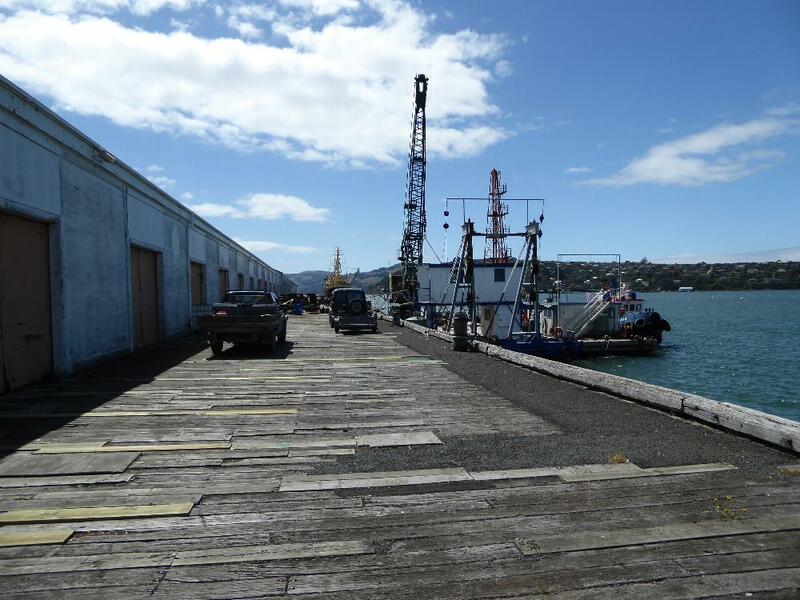 For a while, Dunedin was home to the biggest shipping line in the Southern Hemisphere. Founded in 1853, the "Southern Octopus" was New Zealand's biggest private-sector employer; by 1914 it had a fleet of 75 ships. The whole kit and kaboodle was sold three years later to the P&O, whose properties were eventually sold in 2006 to Dubai Ports. The world turns. And if this building seems anachronistic, that's because it was built for the National Mortgage Association, which swapped properties with the steamship company, then remodeled the old shipping company building past recognition. Who painted this one? Call it our little mystery. 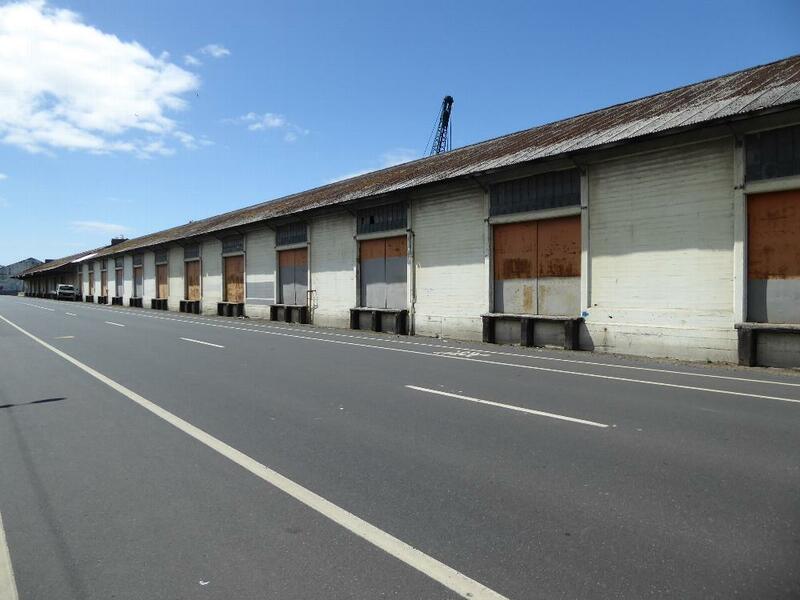 Ports need warehouses, and if Dunedin's port is quiet you should have been here yesterday--well, maybe a century ago. 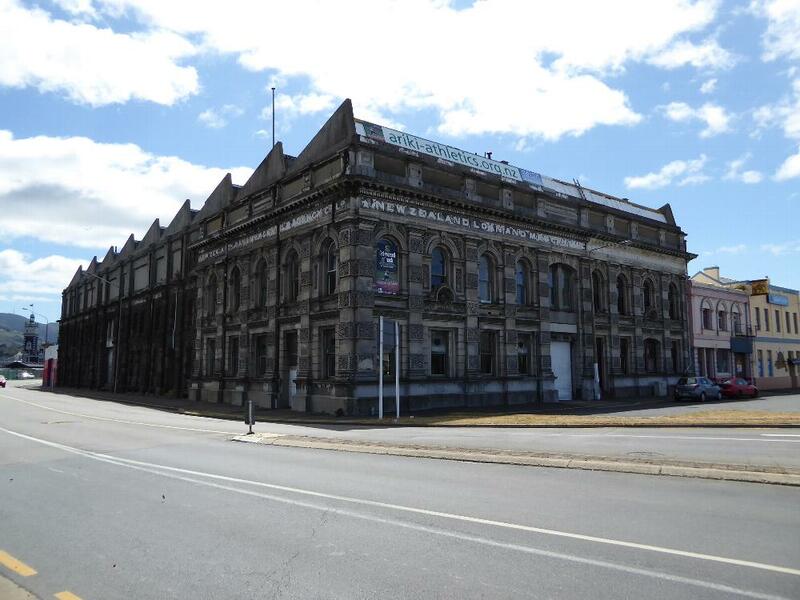 Here, from that time, is the sturdy warehouse built for the New Zealand Loan and Mercantile Agency, founded in 1865 and soldiering on until 1961. Over at the far left, you can see a hint of still grander things from the city's heyday. You're so impatient! It's the railroad station. 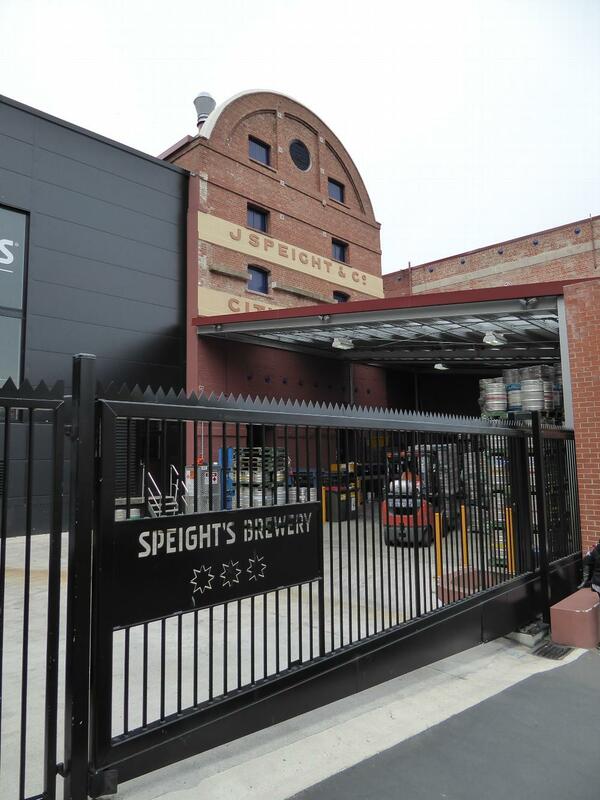 How's this for a fine old warehouse. It was built in 1879 as Stavely's Bond. The paint's a bit much, but it's new: old photos show the place unpainted. 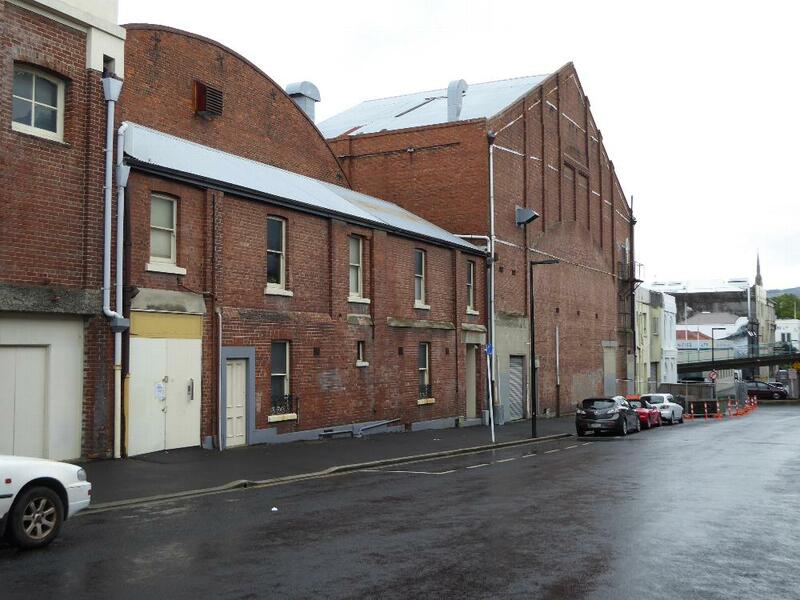 Over the years, the building's been many things, from grain warehouse to the home of a curtain maker and then a ballet school, but in 2008 the roof was destroyed by a fire. The structure was otherwise intact, and a new owner came along in 2010. 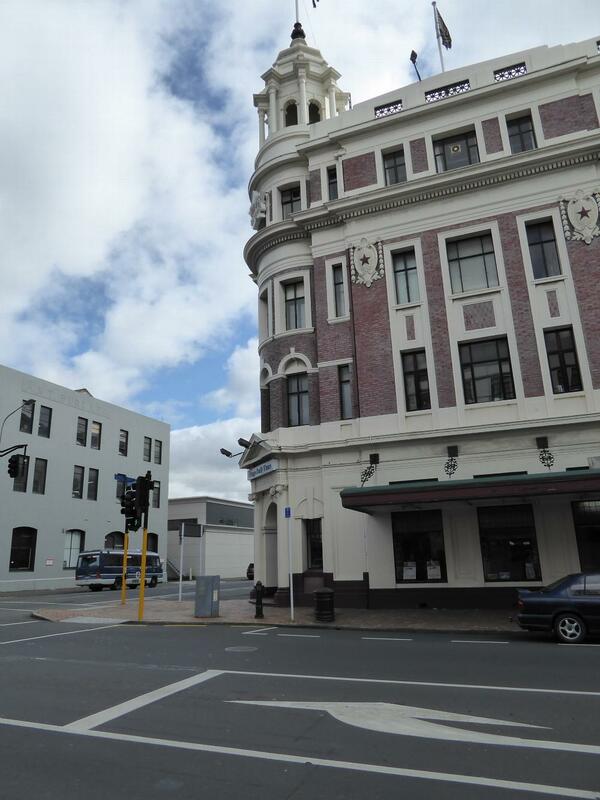 He said, "There's a lot going on here and it's like Dunedin is reinventing itself from here out." He made the place into apartments. See the Otago Daily Times, 19 Dec 2014. Warehouses suggest wholesalers. John Edmond set up shop as an ironmonger in 1861 and supplied not only domestic cutlery but barbed wire and heavy stuff like anchors, chains, even gold dredgers. His building was modernized and expanded (adding the right half) in 1955. See Friends of the Hocken Collections, Bulletin 56, 2007. Goods have to be distributed, and for a time this meant horses. 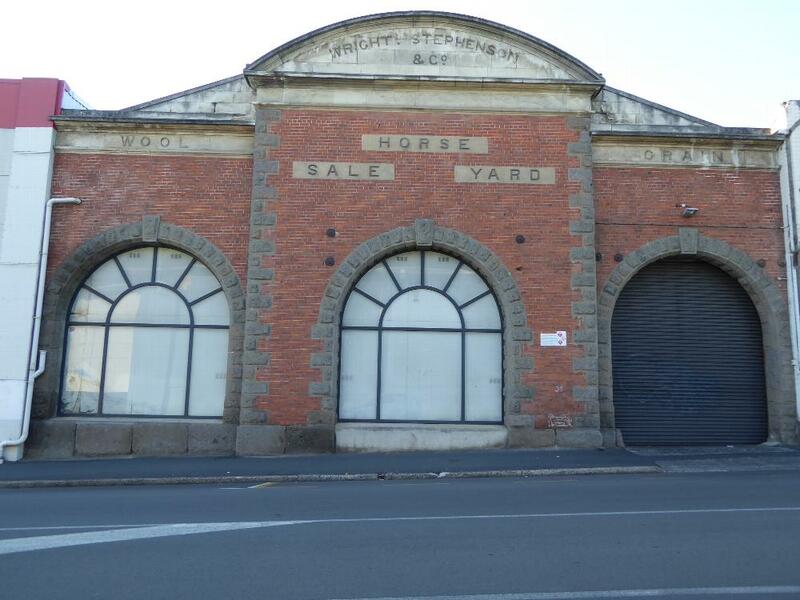 Wright, Stephenson was established in 1861 and sold not only horses but livestock, wool, grain, and land. The company expanded throughout New Zealand and after various permutations still operates as PGG Wrightson, one of New Zealand's major farm-supply companies. Can't help wondering about the original windows and doors. Along came railroads, and a mile to the south of the harbor you can still see the former Hillside Workshops of the New Zealand Railways Department. 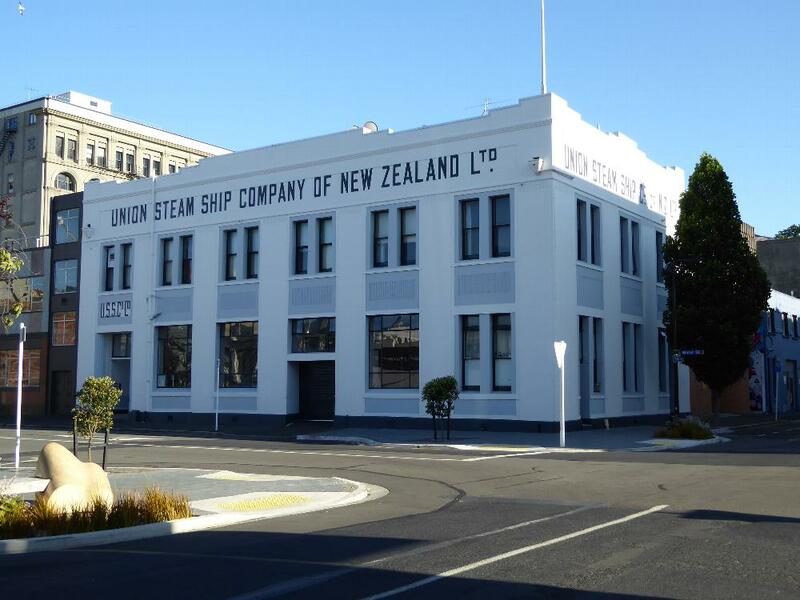 In 1935, its 800 workers built steam engines and cars for a system that still runs the length of the South Island, with one branch extending to the west coast from Christchurch. At the Workshops' final closing in 2012 a man said. "I'm gutted; the axe has just fallen on 90 jobs. Hillside is more than a factory, it's a symbol of what New Zealand used to be: proud, courageous, strong, leader of the world in the 50s, 40s, and 30s." Of the last 90 jobs, sixteen were saved when Bradken, an Australian manufacturer of heavy equipment, bought the foundry. See the online New Zealand Newshub, 15 Nov 2012. A port city needs hotels, and here, a minute's walk from the dead docks, is a dead hotel. Formerly the Terminus Hotel, it was built in the 1880s and is an easy walk from both the harbor and the railroad station, whose tower you got a peek of a few pictures back. You see a wreck? Meet the new owner. He says, "I want to get it cleaned out, and to a stage it can be presented a wee bit, and then see who might be interested and who's around." He continues, "It had been occupied for most of its life, so generally there's not too much in the way of rot or damage.... Once you get the cafes and once you get the accommodation and you get people needing various things and having communities and so on, it certainly just builds on itself." He's right, isn't he? See the Otago Daily Times, 17 May 2016. The problem is that there's a lot of empty space around town. Here's the 1924 home of "The Bell Tea," founded by Norman Harper Bell in 1905. Bell imported tea, repacked it, delivered it by horse and cart, and also exported to the Pacific islands. The company was sold in 1962 to Foodstuffs, a supermarket operator. 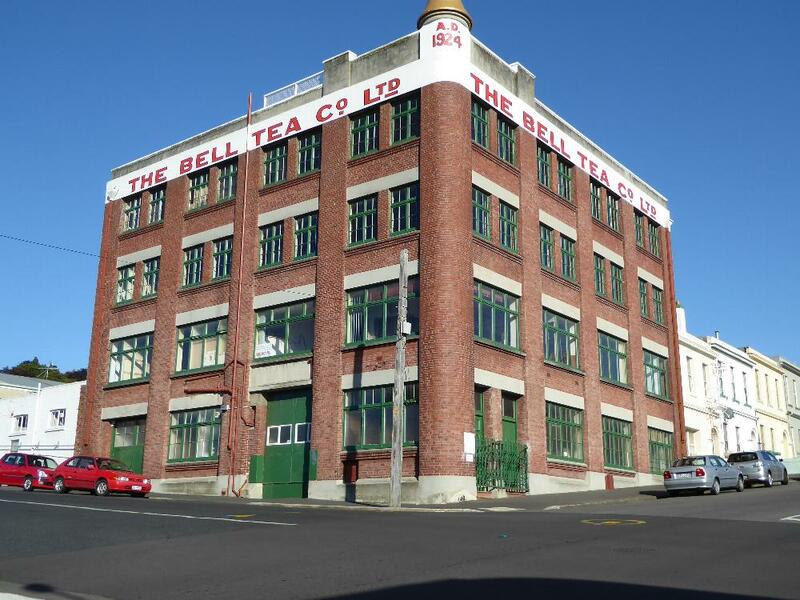 In 2013 Foodstuffs sold the company to Pencarrow Private Equity, which continues to market Bell Tea. 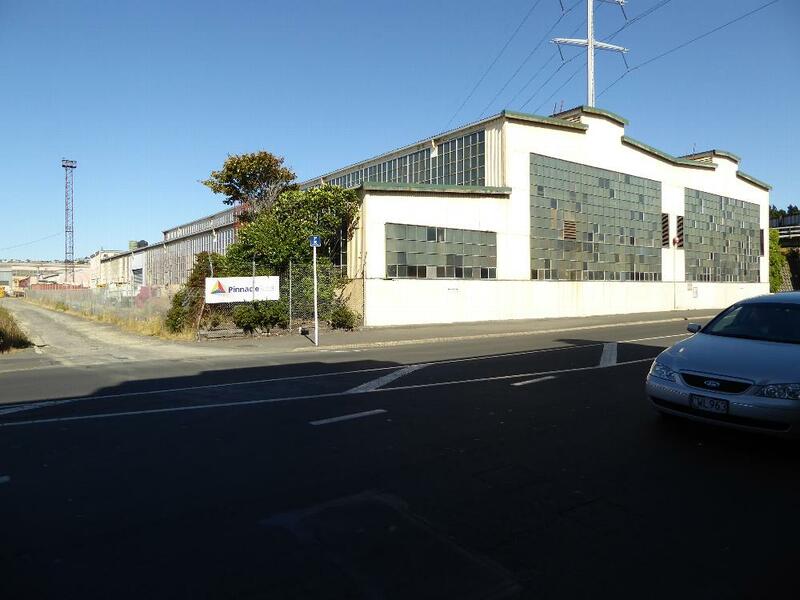 This building closed in 2013, however, in part from earthquake fears. Its buyer seems to have been a little hasty. "It's a bit more daunting, now that I've had time to look at it," he said. Apartments? "I haven't looked at that yet." See the Otago Daily Times, 2 Sept 2014. The building's from 1901; the date up top, 1869, refers to the founding of Kempthorne Prosser, a drug company that in 1881 became a fertilizer manufacturer, mixing sulfuric acid and bone dust to make superphosphate. Yes, it sometimes used guano, too. It stayed in business until 1978. This building was its warehouse. It later became a warehouse for Sew Hoy, a Chinese importer and garment manufacturer, and it's sometimes called the Sew Hoy Building. Where did you hide my sunglasses? Thank you; that's better. Now I can look at this steam-drive flour mill from 1867. (The two top floors were added in 1890.) The mill operated until 1997 but is now--it gets tiresome saying this--apartments and a restaurant. John Ross and Robert Glendining began as drapers, then became importers before taking the big step, adding sheep farms and the Roslyn Woolen Mill in 1879. Four years later they opened this clothing factory, which sewed garments from the cloth woven at the mill, which was just over the hill. 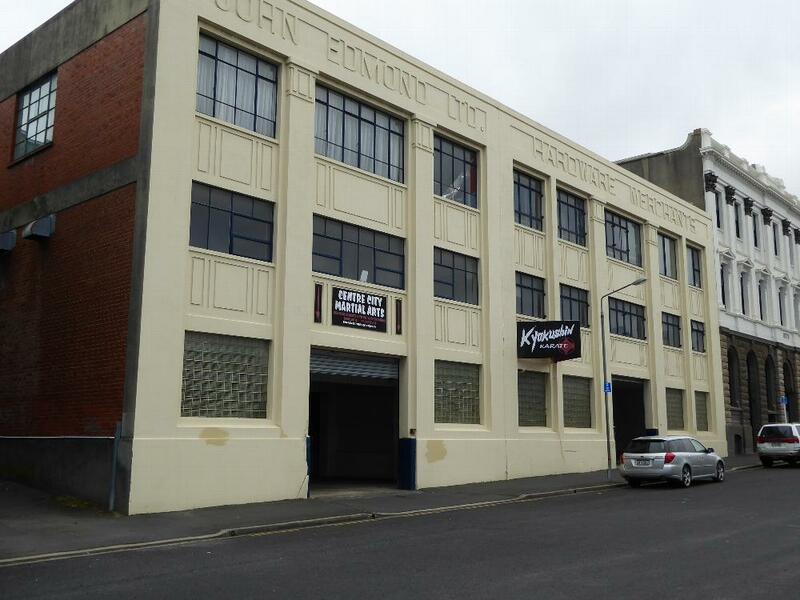 Other factories were added, as well as shops across New Zealand. The mill closed in 1980, but the clothing factory was gone even earlier. 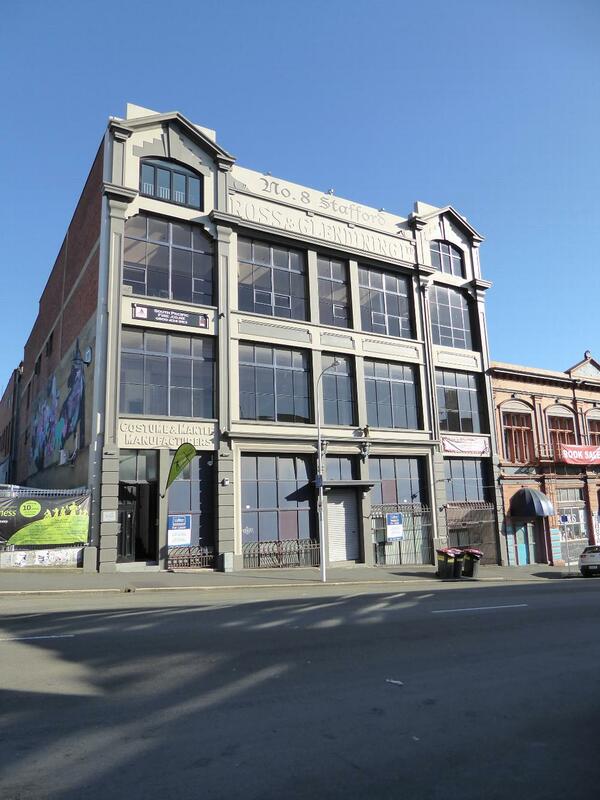 Want to lease the space? It's got loads of light on a clear day. Now we're talking. Come around the corner. The barrel is a gimmick, but the brewery has a deep bore for its own purposes and maintains a public water tap that's amazingly popular. Here's the brewery proper. It's been here since 1876, though this building came up a few years later. The architect was Robert Lawson, perhaps the city's best known architect. 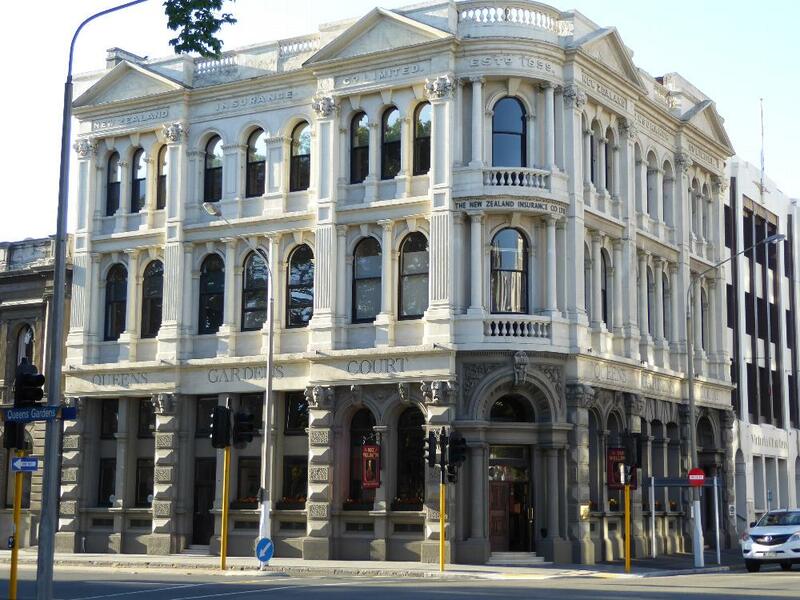 He did lots of fancier stuff but also, along with this brewery, he did the New Zealand Loan and Mercantile warehouse seen some pictures back. 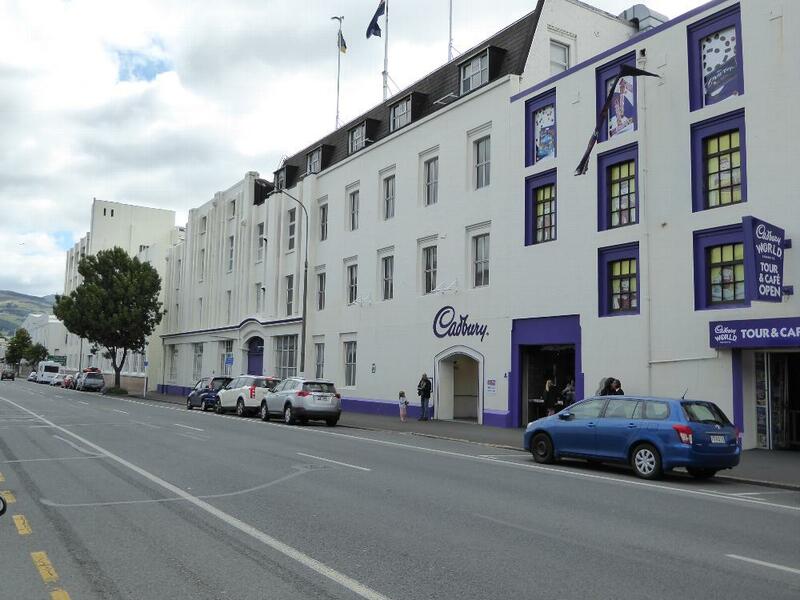 Willie Wonka's world headquarters no: it's just Cadbury's New Zealand operation. 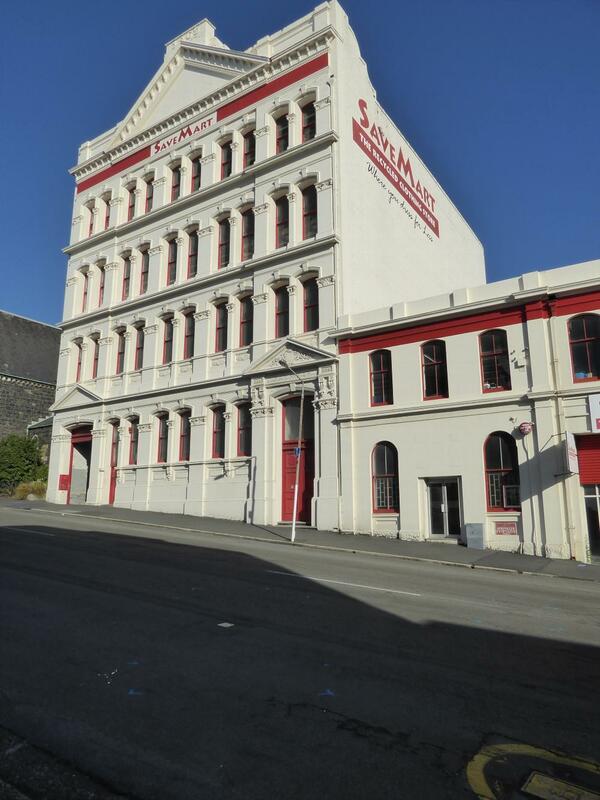 Chocolate production began in Dunedin with Richard Hudson in 1888; he sold his factory to Cadbury in 1930. 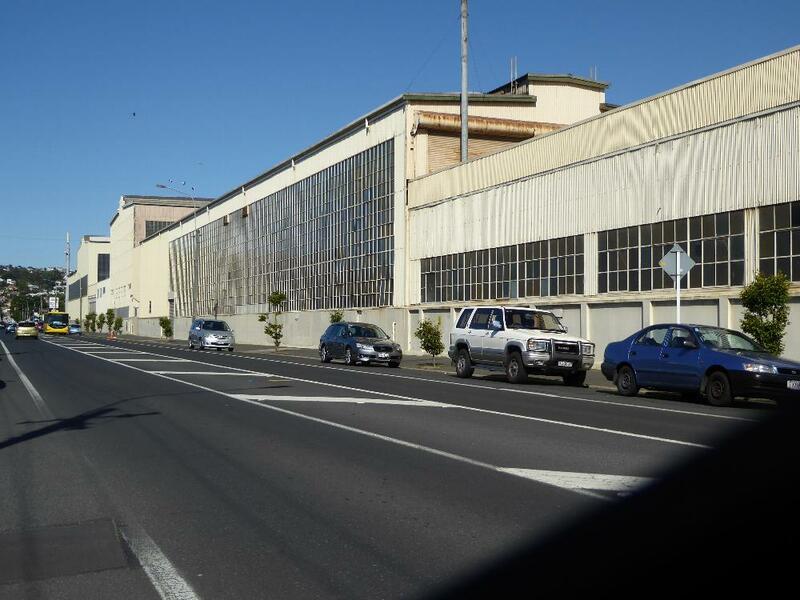 Fast forward to 2009, when Cadbury's Dunedin plant made its last chocolate block. No worries: it continues with marshmallow Easter eggs, Pinky Bars, and Buzz Bars, not to mention Jaffas, Pebbles, Roses, and boxed chocolates. Sobering, isn't it? I actually feel the need for my toothbrush. 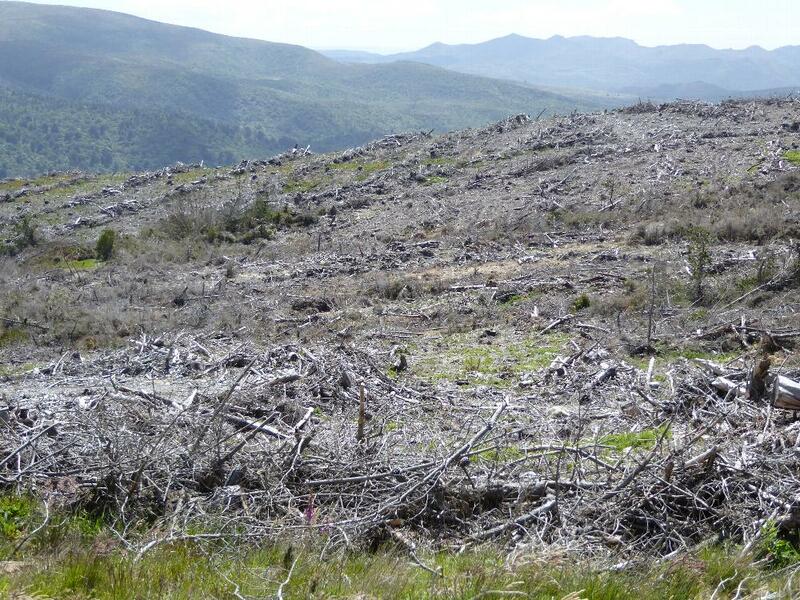 See the Otago Daily Times, 20 May 2013. 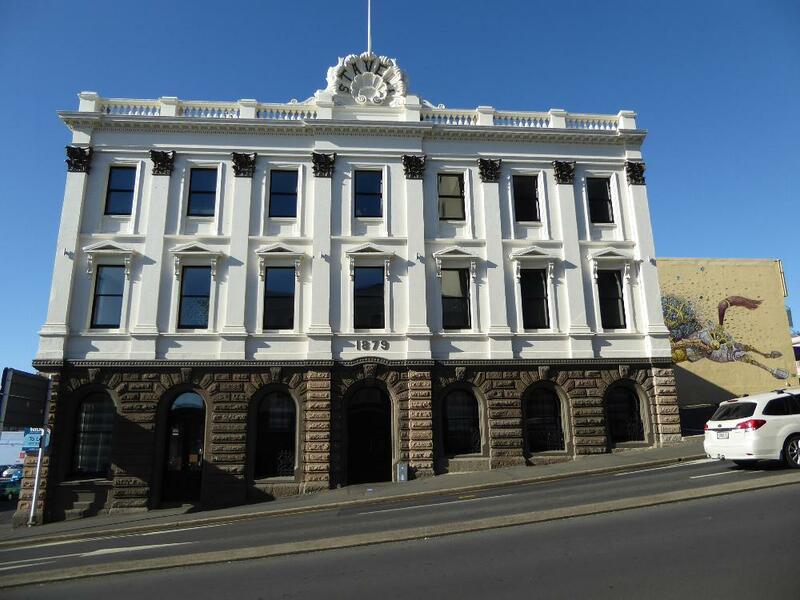 Time for some office buildings, beginning with the Otago Education Board's offices from 1898. The board stayed for 27 years. 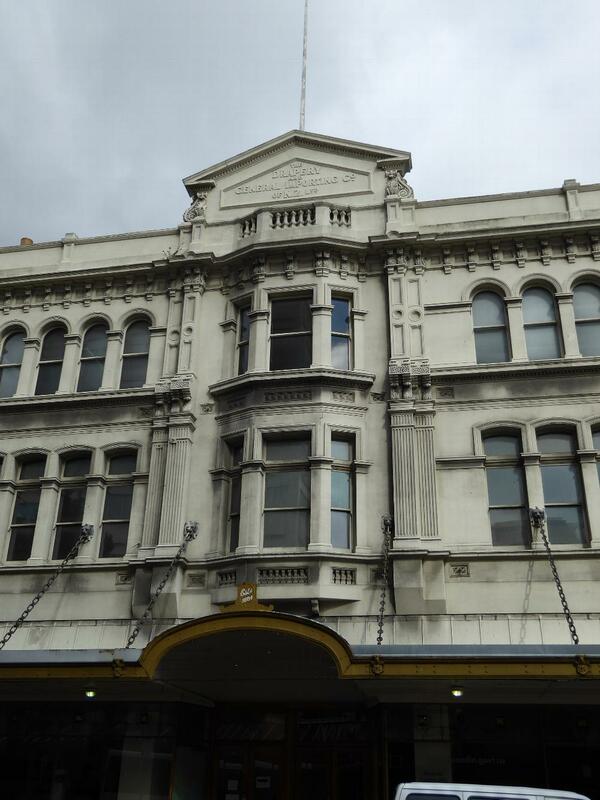 A seed merchant moved in briefly, then the building was sold in 1925 to A.H. Reed, who supplied Sunday schools and eventually became New Zealand's biggest publisher before disappearing into Penguin's belly. Reed closed this office in 1940, but the building soldiers on. The owner in 2012 said, "The scariest point was when I realised I bought it... But no-one's told me I'm mental yet. Well, not to my face anyway." Four years later, the place was for sale again. 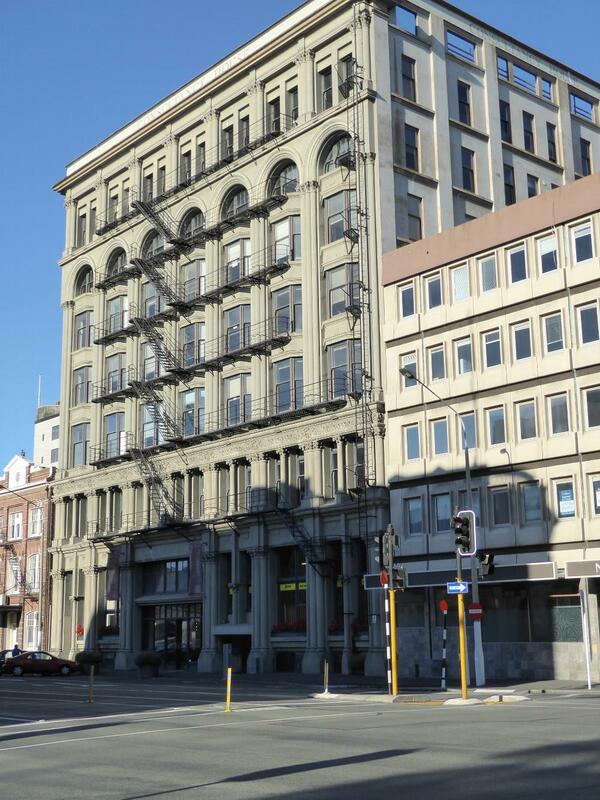 New Zealand's first skyscraper came along in 1910: it had precast concrete floor slabs and two elevators. 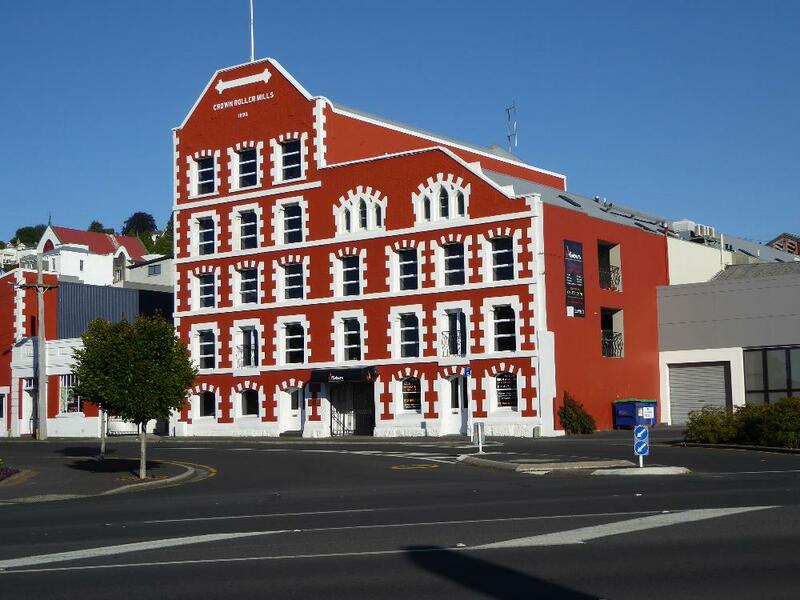 Now called Consultancy House (medical professionals, not business whiz-kids), it was built for the New Zealand Express Company, which was established in 1867 and is still going strong, under the same name, as a trucking company. Even so, the building is often called the MFL or Mutual Fund Limited Building. An office building from 1929. Darth Vader lives next door. It's a small step to department stores, here the Drapery and General Importing Co, or D.I.C. for short. As the sign says, the D.I.C. was established in 1884. It closed in 1991 and is now the city's public art gallery. The Haynes Building is named for Daniel Haynes, who began as a draper, took over the D.I.C., but couldn't rest easy. 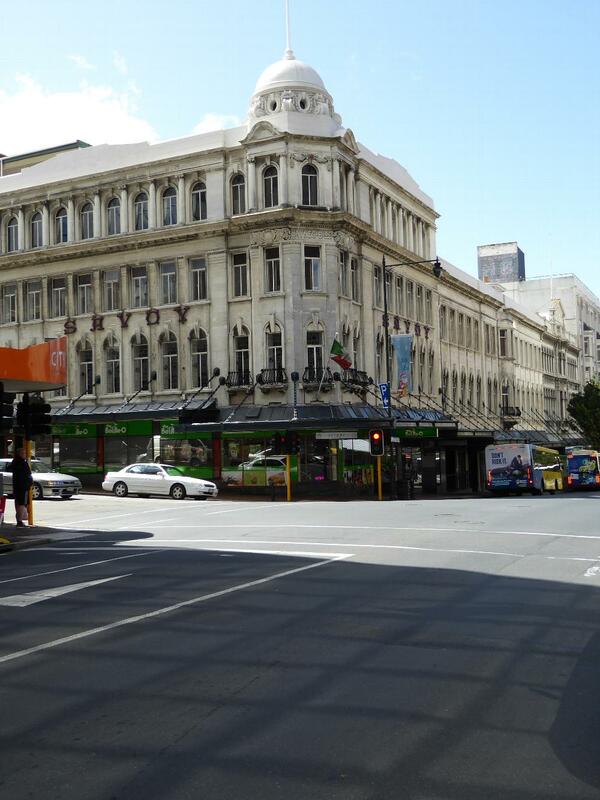 The building, from 1914, is locally often known as the Savoy Building from the tea rooms on the first floor. Budget minded? Try what was the Crown Clothing Company. 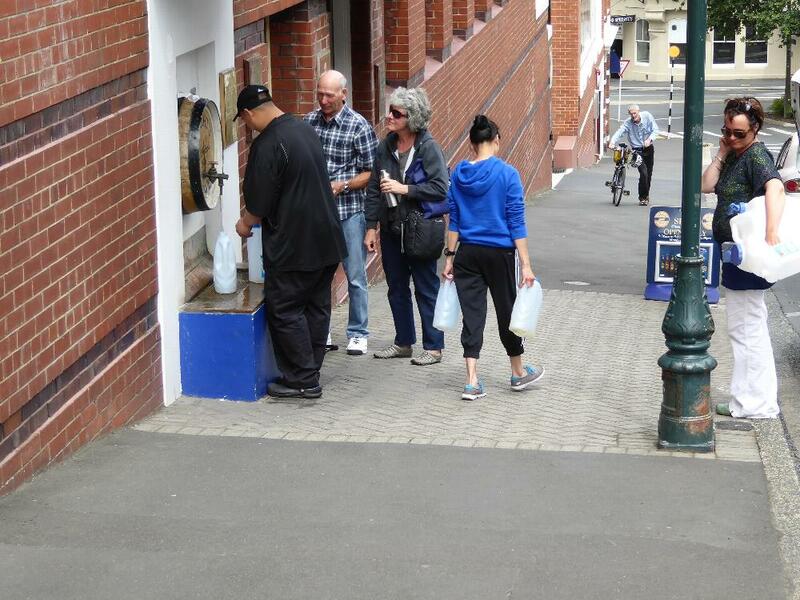 It had several stores in New Zealand. A newspaper puff piece from 1911 reports that "...those who desire to look smart during the holiday season should certainly pay a visit.... This firm supplies ready-to-wear clothes direct from the manufacturer... [and] the 'Crownall' brand of ready-to-wear clothing is equal to any tailor-made article." See the New Zealand Herald,, 20 December 1911. 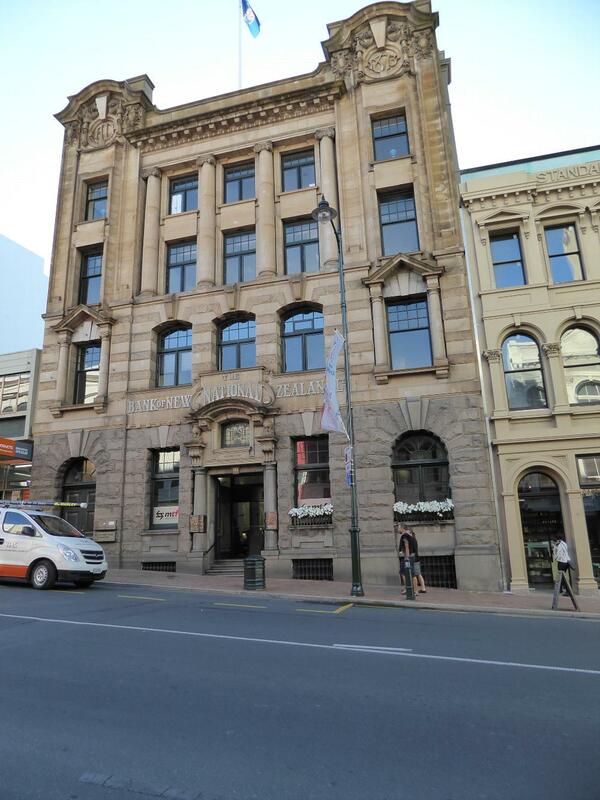 Speaking of newspapers, here's the 1928 home of the Evening Star, now the Otago Daily Times. 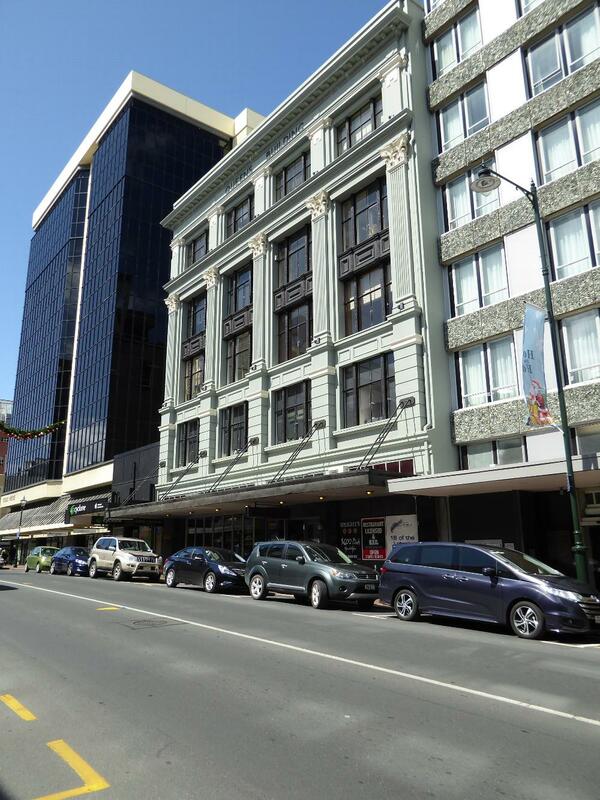 Allied Press, which publishes the paper as well as the Greymouth Evening Star, also controls Radio Otago. Now what could this be? Notice the setback. Does this rear view help? That setback on the front used to be a marquee, but it was demolished in 1975. 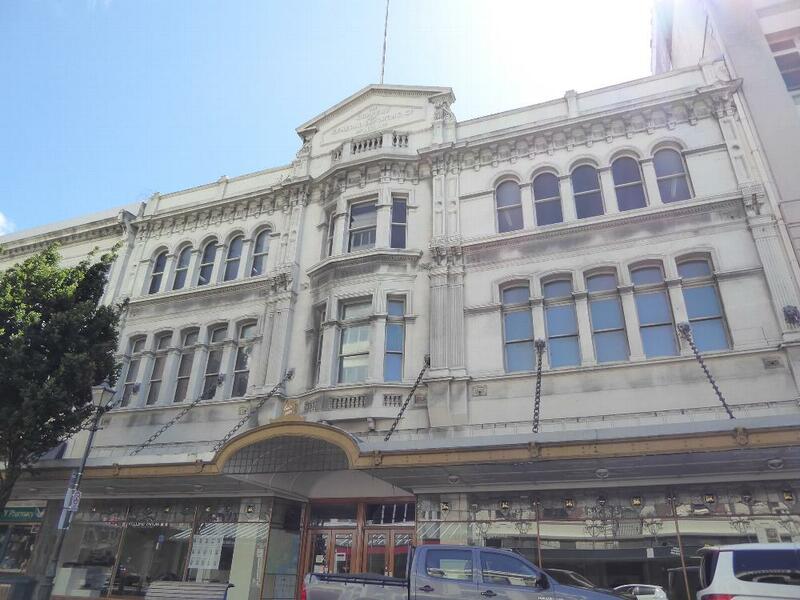 Until then, this was His Majesty's Theater, which opened in 1902, though it had opened in a simpler form in 1897 as Dunedin's Agricultural Hall. Nellie Melba played here; so did Olivier. 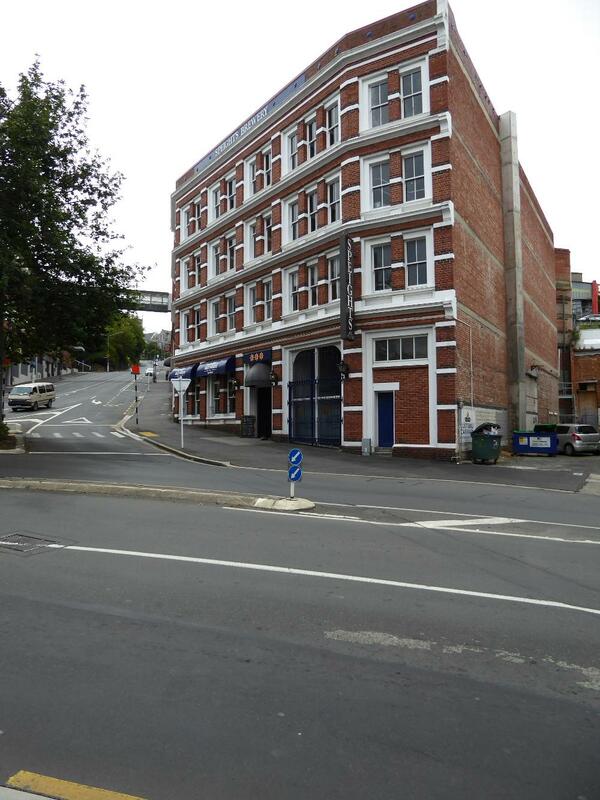 Eventually the place became a night club, but by 2016 it was for sale for NZ$240,000. Money brings us to banks, including this one, the National Bank, from 1911. The name lasted until a few years ago, when the National disappeared into ANZ, which, despite its name, is Australian. The facing is stone; the structure behind is reinforced concrete. Hand in hand with banking comes insurance. 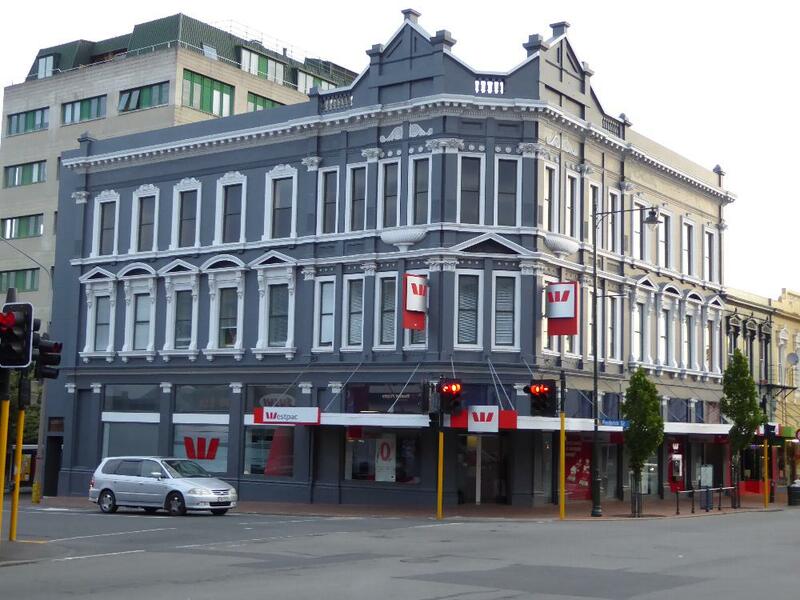 NZI is still in business but is a subsidiary of IAG. No, not International Airlines Group. Insurance Australia Group. Gotta keep your groups straight. Saving the best for last, this is the last surviving Greek temple portico in Dunedin. It belonged to the Union Bank, built in 1874. 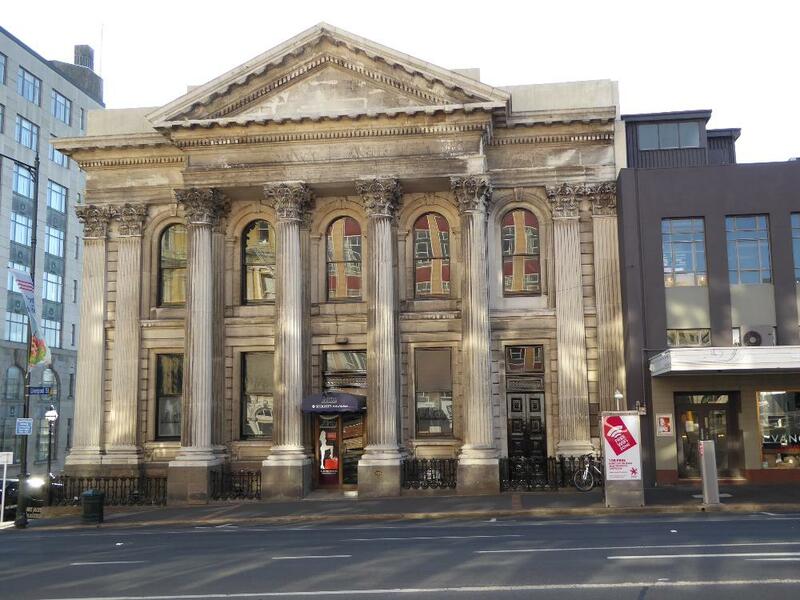 Later photographs show it with the name ANZ Bank across the entablature. It's an Italian Renaissance production from the same Robert Lawson who designed the functional brewery and one of the warehouses we saw a while ago.